Kids these days are so into gadgets. I presume that kids of this generation would love to receive a new iPad, mobile phone, game console, or accessories that they will use in the gadgets that they already have. We cannot blame technology if our kids will choose these over stuff toys and other playset but we can control the pros and cons a gadget brings. My son, Kenzo loves to watch YouTube videos. He's into race cars and musical instruments. He's into music as his dad while he also loves to play games like momma. On a long road trip, I know he needs a headphone that delivers remarkable sound so he can still enjoy the trip while watching videos or listening to music. Enter JBL Jr.- brightly colored wired and wireless lightweight headphones that let kids enjoy music, movies and more while providing the promise of safety and durability. 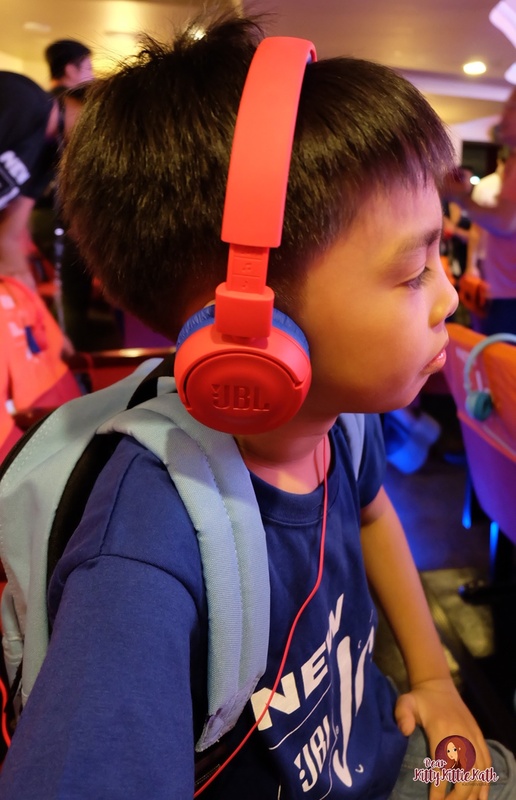 JBL Jr. Headphones were launch last October 22, 2017 at KidZania Manila. My son was so giddy to attend the launch because, yeah, its KidZania and we were so excited to know more about the headphones as this will be his first time to try one. 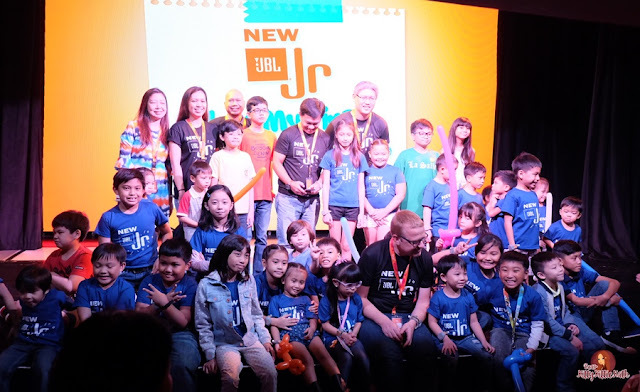 There was a short program where kids watched a mini film prepared by JBL team for the kids and their parents inside the ABS-CBN Theater. 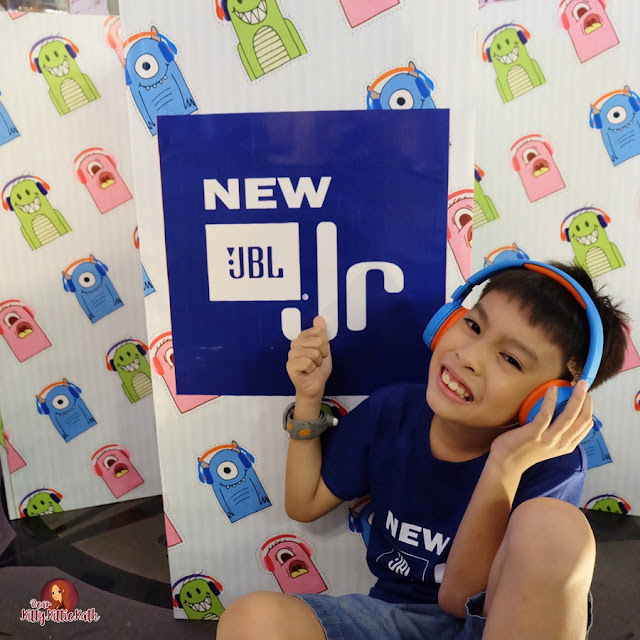 This activity was conducted for the kids to experience the JBL Jr. headphones while watching the movie at the same time. I was all 'wow' when I saw the headphones because it looks really nice and the colors are so fun. Specifically designed to comfortably fit a child's head with a soft-padded adjustable headband and cushioned ear cups. The solid outer design is built to survive wear and tear. JBL Safe Sound- JBL legendary sound designed to always limit the volume below 85dB making them safe for even the youngest music fans. This headphone folds up easily making it handy anytime, anywhere. The most fun part- make it your sticker set. Customizable using colorful stickers included once your buy your own headphone. The flagship headphone of JBL Jr. line. Connect to smart devices through Bluetooth technology. Easy controls that are kid-friendly. It's a wireless headphone that includes up to 12 hours of battery life. Available in Punky Pink, Rocker Blue, and Tropic Teal colors. My son really loves his very first headphone from JBL Jr. JR300. The color is so nice! It fits perfectly in his ears. The cushioned ear cups don't give stress to his ears especially when wearing it for long hours while watching his favorite movie. The best part is the stickers! He enjoyed customizing it and find this stuff really cool! I can say that JBL Jr. Headphones are the perfect gift for kids this Christmas. They will surely enjoy using it anytime, anywhere. Parents should not worry because these are specifically designed for children three to ten years old and they are engineered for maximum enjoyment at volume levels safe for kids' delicate ears. Aside from this, there's a new waterproof earbuds on the market, bringing next-generation technology today’s active listener and the award-winning engineers at xFyro audio created the most advanced pair. I can't wait to try this product, now it's time for moms to enjoy music with xFyro waterproof earbuds.